NOT YOUR GRANDFATHER'S ICE TRAY. ALl of a sudden, dentures aren't just for Grandpa anymore! Freeze up a batch of FROZEN SMILES and drop them into any glass. 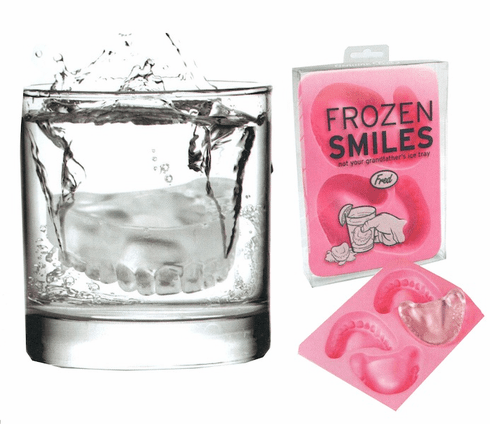 They're the ice cubes that grin right back at you (and your esteemed party guests). Don't you think they'll add a little bite to whatever you're drinking?